After beginning BizTalk in Boca Raton, Florida in 1991, Jim Rosetti brought the program to the Fox Cities SCORE Chapter in 2002. Using persistence and creativity, Jim launched BizTalk on WHBY. Initially the program aired Sunday mornings. After several years the program was moved to the 7 – 8 a.m. time slot on WHBY on Saturday mornings. Two years later the program moved to a new 9:00 till 10:00 a.m. on Saturday mornings. As of May 14, 2016 the program will air at 11:00a.m till 12:00 noon every Saturday morning on WHBY 1150 AM radio. Tony Busch joined the program in 2004 as a co-host. 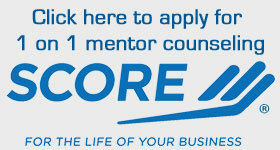 Both Jim and Tony continue to be active SCORE mentors volunteering to assist business owners to improve the performance of their businesses. BizTalk featured many guests over the years. Guests include business entrepreneurs who share their stories. Blending success with failure, their stories serve as a “how to” for the listening audience. Their stories and experiences also serve to inspire those who may be considering starting or expanding their business. Other guests include professionals who bring guidance to those who are listening. Often this professional information is critical to the ability of the entrepreneur listening to the program to achieve success. In the beginning years finding long term sponsors for BizTalk was difficult. When Tony joined Jim, they were able to recruit several sponsors who were willing to commit to annual sponsorships. Through this extended commitment by the sponsors, BizTalk was able to make financial contributions to the Fox Cities SCORE chapter. Since Jim and Tony did not receive any compensation of any kind, all proceeds benefited, and continue to benefit the local SCORE chapter. In 2011 Jim moved to Plymouth, WI. There, he started another program called BizConnection. Randy Melzer replaced Jim as a co-host of BizTalk. Together, Tony and Randy continue to use BizTalk to bring relevant and meaningful information to the business community through the signal of WHBY. Over the years BizTalk has earned outstanding rating results. In 2011 BizTalk was rated the number one program for the time slot of 9:00 – 10:00 on Saturday mornings. This achievement was accomplished when ratings were compared to over 20 other radio stations in our market. BizTalk delivers its message each Saturday to over 25% of the age group over 35. Click here to view the “Origin and History of BizTalk” as produced by Jim Rosetti in Boca Raton, Florida.